After 13 years as a trusted financial advisor in Northern Virginia, Ryan has now expanded his practice to serve clients in the Charlottesville, Virginia, region as well. A 1998 graduate of the University of Richmond with a degree in marketing and finance, Ryan launched his financial planning career with American Express Financial Advisors in Alexandria, Virginia, opening his own office two years later. He joined Commonwealth Financial Network® in 2006. Following two years of classroom and individual preparation, he earned the certification of CERTIFIED FINANCIAL PLANNERTM professional in May 2005. He now serves clients in both Charlottesville and Northern Virginia, maintaining offices independently in Charlottesville and in Arlington with Clarendon Wealth Management. 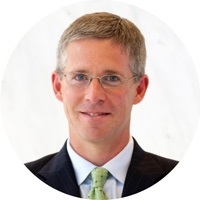 Raised in Andover, New Jersey, about an hour's drive outside of New York City, Ryan moved to Virginia in 1994 to attend the University of Richmond and now commutes between his offices in Charlottesville and Clarendon. In July 2003, Ryan married his college sweetheart in Annapolis, Maryland. After living in the DC area for 13 years, Ryan and Shannon moved to Charlottesville, Virginia, in summer 2011. Ryan and Shannon share their lives with their two sons, Colin and Cade. In their spare time, the McCall family can usually be found outdoors exploring Charlottesville with their two dogs, Scout and Willy. Colin and Cade both enjoy tennis, soccer, swimming, and “pizza at the pool” on Friday nights in the summer. Ryan volunteers his spare time at the Charlottesville-Albemarle SPCA, helping to find permanent homes for shelter dogs. He has worked with other rescue groups in northern Virginia and has even spent time at Dogtown, America’s largest animal sanctuary, in southern Utah. Ryan was selected by staff members of the sanctuary to work with one of the pit bull terriers rescued from the Michael Vick dogfighting raid. Philanthropy is a way of life for Ryan and Shannon, as they support charities such as WWF, ASPCA, Greenpeace, WDCS, the Humane Farming Association, Best Friends Animal Society, and Earth Island Institute. Shannon also volunteers for the Women’s Shelter for Help in Emergency in Charlottesville.